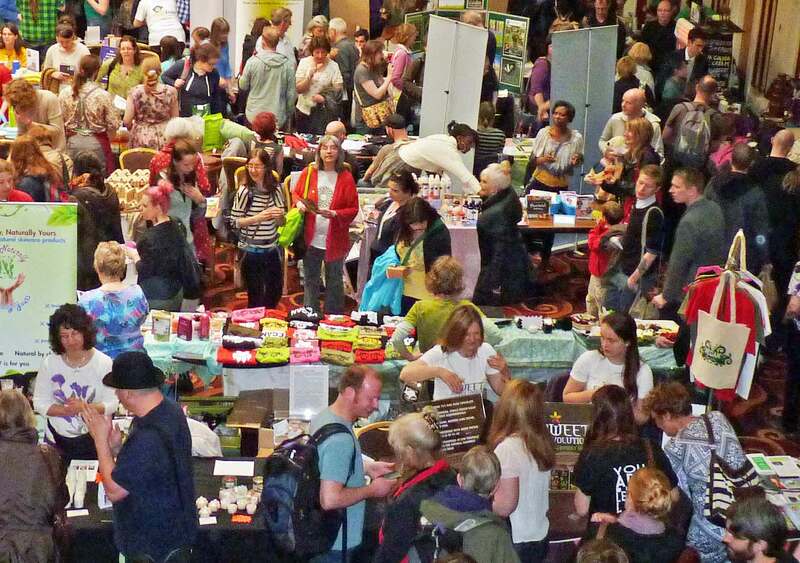 The Great Yorkshire Vegan Festival in Leeds today was fantastic. When I read a promo leaflet which said the event would attract thousands of people from all over the UK, I couldn’t help wondering if such a turn-out may be wishful thinking. I was wrong. The crowd was enormous. The woman in the red cardigan in the above pic is me looking for my husband Ian who, it turned out, was on an upper level taking this photo. There were over 100 stalls offering a wide range of vegan products, including food, cosmetics, bags and clothing. (I can’t wait to wear my stripey luxury eco-friendly bamboo socks!). 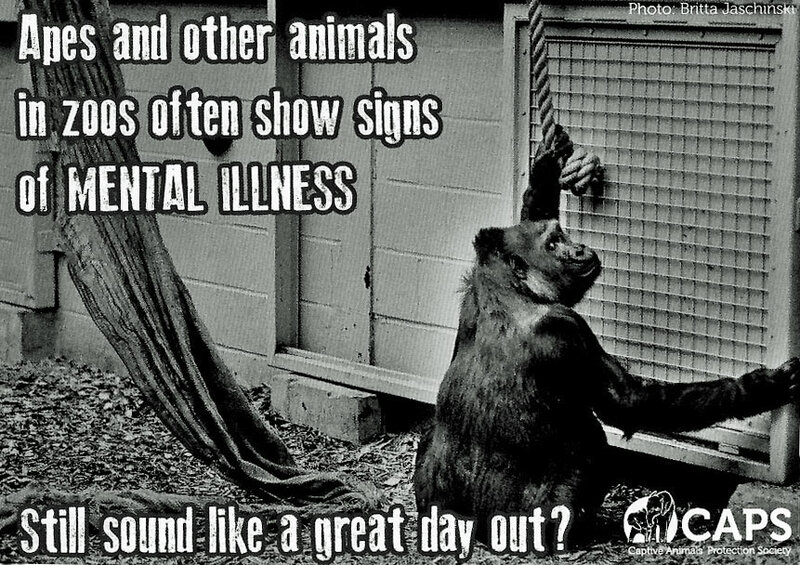 I’ve been thinking, talking and writing a lot lately about mental health and perhaps that’s why the picture and caption on a postcard immediately caught my eye, with its grim reminder of how captive animals in zoos often show signs of mental illness because of the psychological distress they are subjected to in their restricted environment. (www.captiveanimals.org). So let’s remember the animals, too. Voluntary workers from various animal welfare charities manned stalls to tell us about the work of various local and international organisations and to provide leaflets alerting us to why it’s so important to adopt a cruelty-free lifestyle. This entry was posted in Animal Rights and tagged animals, cruelty-free, festival, mental health, vegan, zoos by Jean Davison. Bookmark the permalink.